At one point, long ago, just after we started this, Rockne’s was on the site. Somehow I wrote over it and it got added back to the list. We had just tried to get anyone to notice us at Ray’s Place in Fairlawn, to no avail. Rockne’s is right up the street and we are in…and served…much nicer. 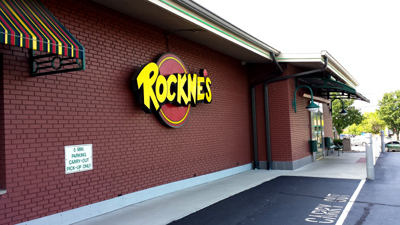 There have been multiple iterations of Rockne’s, which seem to have moved about here and there but the Fairlawn location seems to have set down roots. The interior is somewhere between family fast casual and trendy bar. Lots of tvs, sports pictures and memorabilia, etc. Our server was a hitch over average for the location and stayed on top of everything our entire stay. Maybe he should be running Ray’s front of the house. Sorry, still bitter. Never the less, for this guy...if the server thing doesn't work out, he has a bright modeling future. 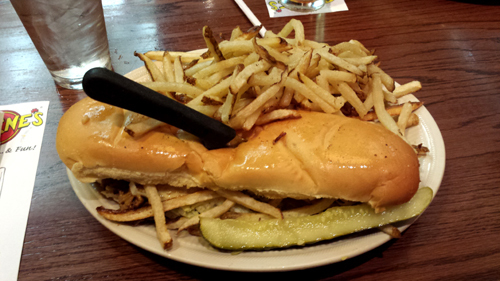 If there is something you can count on at Rockne’s, it’s substance. 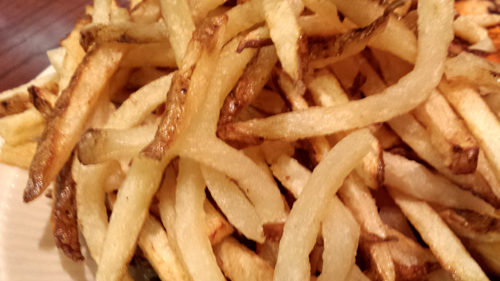 There is little on the menu past the fries I have found to be particularly stellar. What you will get is a heaping pile of almost anything you order. The fries are great. My mother referred to them as Idora Park Fries, they apparently took her back to days long ago at the now defunct amusement park. The rest is a solid but generally average menu. 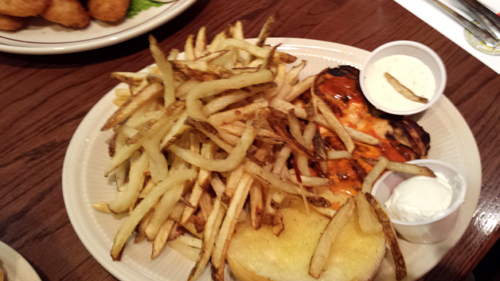 We tried the buffalo chicken sandwich which is a full breast (both lobes) and hot sauce. It’s fine. The Terminator is their top selling sandwich, shaved beef, cheese, lettuce, mayo, their house dressing and a few fries. It’s fine. 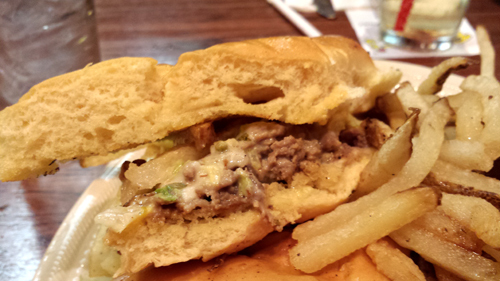 There aren’t enough fries on the sandwich…get some on the side. 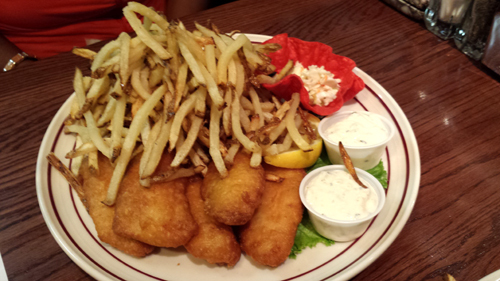 Janet went with a dinner, the beer batter fish. They actually seem like something from the freezer but they are not bad. Hers came with five or six fillets. It’s fine. You can find better food in the area than you will get at Rockne’s. Theirs comes in a relaxed and generally pleasant atmosphere and you won’t get as much on the plate at just about anywhere else.